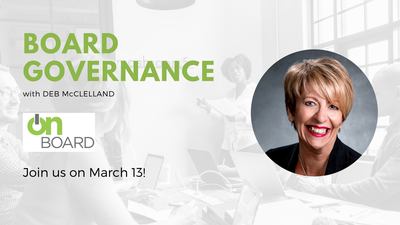 A must-have for Board Directors, CEOs and those interested in becoming Directors; this workshop offers you the essential strategies and best practices of Boards who have discovered how to govern effectively, efficiently, and in a manner that is results-oriented. Please note that space is very limited for this event. Please register early. Please note any dietary restrictions in the registration comments, we will do the best to accommodate your requests.